The first 3 teams qualified following the competition organized by The Alternative School will represent Romania to the competition Young Lions / Integrated Eurobest, taking place in Warsaw on November 22nd-25th. The qualified teams include Andra Vlasceanu Bart – Art Director / Anca Pantus – Copywriter, MullenLowe – 1st qualified, followed by 2 teams that achieved equal score: Ecaterina Micutaru – PR Executive and Vania Piersinaru – PR Manager, GMP PR and Ana-Maria Flipescu – Copywriter V+O Romania and Sonia Dao – Digital Associate Golin Harris. The section the Romanian teams will compete at Eurobest is Integrated, the one they prepared at The Alternative School, together with other 40 participants representing agencies and clients from Romania. Following the meetings that took place during The Alternative School, the qualified teams explored a number of briefs. Among those, the final brief and the 48 hours brief were evaluated by 7 jurors, their teachers during the classes but also other communication specialists from Romania, Turkey, France, Israel and Korea. 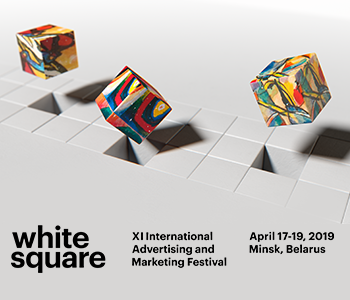 Ali Bati – Leo Burnett, Andreea Ghenoiu – Jazz, Alexandra Bombita – Geometry, Filip Gonzacenco – Publicis Conseil Paris, Dorian Ilie – Rogalski Damaschin Public Relations, Vera Gavrila – Media Concept Store, Andreea Ghenoiu – Jazz, Mihaela Paduraru – Produsul Anului, SangSoo Chong – Ad School Korea, Sahar Lewenstein – Hooligans, Tel Aviv, Alexandru Haidamac – Ogilvy were among those who evaluated and trained the students. The reason Romania has the biggest number of teams in competition is due to the tied results from the last judging round. Because the teams on second place had equal scores and following a request sent to Eurobest, festival’s organizers agreed to make an exception and allow all 3 teams to compete. Young creatives from all over Europe are reuniting every year for Eurobest to test their abilities, to show their talent and to have the chance to perform. The Alternative School for Creative Thinking pioneered when it came of education within the creative field. During the last 15 years, over 300 young people were sent to international specializations to Cannes and Eurobest, and the best of them brought back in Romania Gold, Grand Prix, Bronz and Order of Merit in international competitions of first rank.